Brackett Heating and Air has dedicated over 65 years to keeping our community comfortable with affordable heating solutions. Whether it is repairing or replacing your furnace, you can expect first-class service without breaking the bank. Rest assured that a professionally trained and licensed technician will handle the job with excellence and dedicated care for your comfort. There is always someone who is ready to help you when you call. To get started, choose from one of our heating solutions below, or call Brackett Heating and Air for more information. So, it’s time for a new furnace? Well look no further! We at Brackett Heating and Air understand the financial commitment in purchasing a new heating system and we want to help you make the most comfortable investment possible. Our Home Comfort Specialist will give you peace of mind as they guide you through the entire heating installation process and will assist you in choosing the best heating solution for your needs. Our heating systems offer some of the best financial and environmental benefits on the market. With Efficiency rating of up to 98.2% AFUE, you can save over $800 dollars each year. There is a wide variety of options and innovative technologies on the market, but we want to make the selection simple for you. At Brackett Heating and Air, 24-hour furnace repair is just a phone call or click away. Regardless of your past experiences, achieving comfort in your home should never be an inconvenience and, in fact, it is our number one priority. 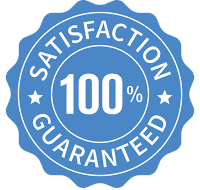 We are one of Evansville’s leading heating repair companies, and our guarantee is to be there for you when you need us most! With Brackett Heating and Air you will never pay more for after-hour heating services, and we don’t charge extra for nights, weekends, or holidays! Don’t delay your comfort any longer, contact Brackett Heating and Air to schedule your furnace repair now! Proper maintenance and care for your furnace is more important that you think. Inefficient performance and frequent failures are typical characteristics of equipment that has not been regularly maintained by a professional. 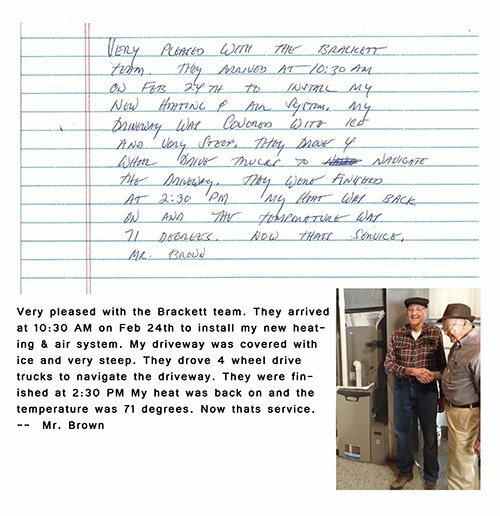 Service performed with our 20+ point checklist by our professional team of specialists might be just what your furnace needs to get you back to the comfort level you desire. An ounce of prevention is worth a pound of cure, so let us protect your heating system with these affordable services. Are your energy costs still too high? Let us install a heat pump for your heating and air-conditioning system for year-round energy cost savings. Heat pumps allow you to maintain an ideal temperature and perfect humidity under any conditions, all while saving you hundreds of energy dollars. With efficiency ratings of up to 23.50 SEER and 10.20 HSPF, nearly twice as efficient as a standard heat pump, we have the ideal system for your needs.